Learn from the professionals that draw blood every day! Our phlebotomy school, known as RMDC Phlebotomy School, is an inexpensive and condensed curriculum designed to educate future or existing health care professionals. NOTICE: Our Spring class is now full. Use the form at the bottom of the page to request a spot in the Fall class. Space is very limited and on a first-come, first-serve basis. This fun and exciting class helps CNAs, MAs or those entering into the nursing profession get a head start in phlebotomy. 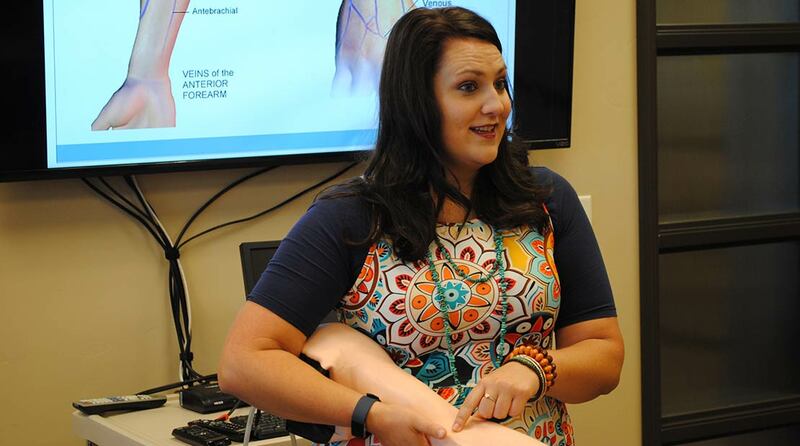 The class is designed to teach proper technique and help inexperienced health care professionals get over the fear of drawing blood. Gain confidence through demonstrations and hands on experience at an actual laboratory. The class setting is small with significant one-on-one attention. Patients always remember a bad blood draw and anyone can “poke” a patient. 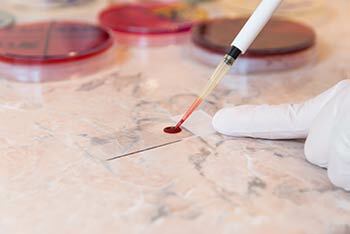 Through the skills taught in this class phlebotomy skills will transition to a more positive experience for patients! 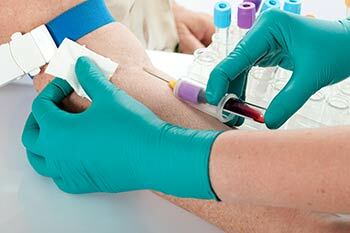 Classes are taught by Christine Duval, who is one of the most experienced phlebotomists in the area. Christine has worked as a phlebotomist since 2010 and has extensive experience as an on-site and traveling phlebotomist assisting in a variety of locations such as nursing homes. Christine is IV trained and when not doing blood draws or teaching phlebotomy, she works in lab processing and in clinical research. In accordance with the standards of the RMDC Phlebotomy School, our policy is to operate legally and ethically while treating our students with dignity and respect. This code will be reviewed periodically and revised as necessary to meet regulatory requirements that may arise from resolution of ethical issues. The RMDC Phlebotomy School employs a variety of individuals who are credentialed and have agreed to comply with the school’s standards. We ensure appropriate treatment of students regardless of race, gender, age, religion, national origin, disability, or sexual preference. 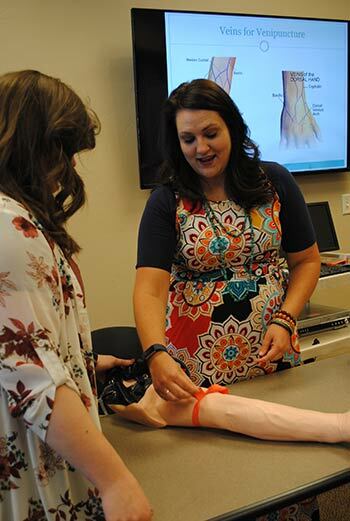 The purpose of this course is designed to teach the basics of phlebotomy as well as meet the requirements for the State of Idaho to work as a phlebotomist in the State of Idaho. 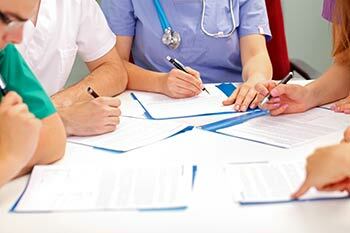 This school provides students with enough training to be hired in most physician offices and hospitals. Students will learn from written curriculum as well as hands on experience to properly collect and handle blood samples. Principles of safety for students and patients will be taught. This school does not offer National Credentialing and students will not be certified when completing this course. Students will be given a “Course Completion Certificate” at the end of successfully completing the class and passing the final exams. Certificates will be mailed to the students within 2 weeks of the course completion. Students must be 18 years of age or older and have a High School Diploma or GED or, be in the process of actively completing their High School Diploma or GED. Students are required to fill out a registration form that is available at Rocky Mountain Diabetes Center, 3910 Washington Parkway, Idaho Falls, Idaho 83404. Registration forms may also be sent to students via email, fax, or mail upon request. Enrollment is on a first-come, first-serve basis. If the course is full, student’s name and contact information will be put on a waiting list and contacted when the next class will be available. Payment for the Beginning Phlebotomy Class must accompany the registration form and be submitted before the first week of the course. 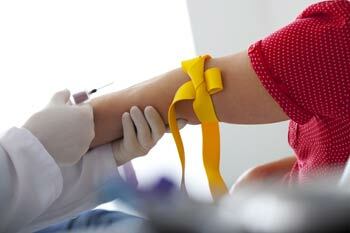 Payment for the Beginning Phlebotomy Class must be paid in full at the time of registration. Refunds will be issued in full if requested by the student before or after the first week of the class. After the first week, no refund requests will be allowed or processed unless approved by the management of the school. RMDC reserves the right to refuse admission to any student. NOTICE: Our Spring class is now full. Use the form below to request a spot in the Fall class. Space is very limited and on a first-come, first-serve basis.